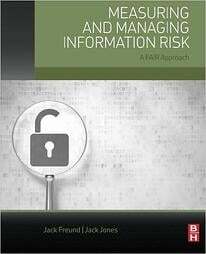 How do you move your organization off an opinion-based approach to risk management and on to fact-based discussions, with quantitative risk analysis as the starting point? 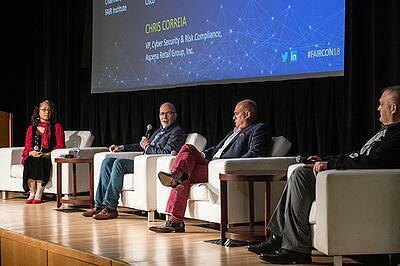 In this panel discussion from the recent 2018 FAIR Conference, Chris Correia, Vice President, Cyber Security and Risk Compliance, Ascena Retail Group, La’Treall Maddox, Strategy Risk Operations Manager at Cisco Systems, and Joel Baese, director of the governance and decision science organization at Walmart, talk about their pioneering work introducing FAIR and changing the decision-making process. The panel is moderated by FAIR Institute Chairman Jack Jones. Watch the video: “Shifting the Discussion to Cost-Effective Decision Making.” A free FAIR Institute membership is required – join now. Find a high-profile demonstration project. La’Treall Maddox proved the value of the FAIR process in a risk analysis of an acquisition by focusing on the potential fines that might hit the company to be acquired. “We changed the conversation” and made a “substantial impact” on the final offer price. For more insights, watch the FAIRCON video “Shifting the Discussion to Cost-Effective Decision Making.” A (free) FAIR Institute membership required.